Michelle Szymanowski has been a OB/GYN Nurse Practitioner since 1997. Raised in Arizona, Michelle received her Bachelor of Science Nursing degree from Arizona State University in 1992. She began working in labor and delivery with high-risk pregnancies while working on her Master of Science Nursing degree. After completing of her degree and graduating with honors with a Master of Science Nursing degree in 1997, she worked with high-risk populations where she developed and ran a successful gestational diabetes program. During her time in public health, she developed an interest in evaluating and treating abnormal pap smears and earned her certification as a colposcopist in 2000 in San Jose. She joined Southwest Women's Care, now Southwest Contemporary Women's Care, in 2008 and has continued to work closely with gestational diabetics and patients who have had abnormal pap smears. 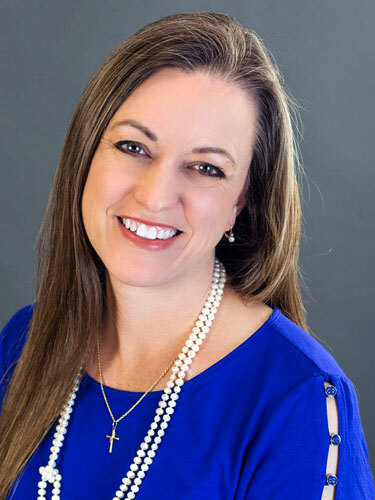 Michelle has taught in the Nurse Practitioner degree program at Arizona State University and continues to guest lecture and work with Nurse Practitioner students. She enjoys working with the teen and early college age population. It is the ideal time to educate young women about healthy behaviors and how to best prevent disease throughout their lifetime. Since 2009, Michelle has been evaluating and genetically testing patients who have family histories that indicate they may be at high risk for Hereditary Breast and Ovarian Cancer. She has identified and set up plans of care with many patients who are positive for genes such as BRCA, Lynch genes, and other genes that increase risk for cancer. She completed an intensive course in Cancer Risk Assessment through The City of Hope in California and has expanded her practice to include genetic counseling. She is a national speaker on the topic and works to educate providers about the importance of identifying patients who may be at increased risk of cancer. Michelle is fluent in Spanish regarding most women's health issues. She is married and has three children who keep her very busy with marching band, symphony performances, and soccer games. She enjoys traveling with her family and is appreciative that her children have given her such great opportunities to travel with their activities. Michelle sees patients at our Gilbert Office.